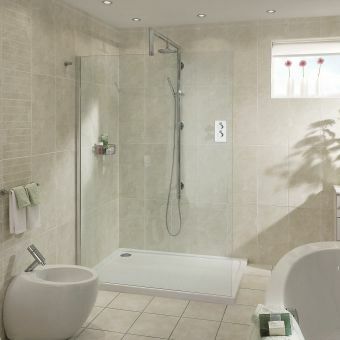 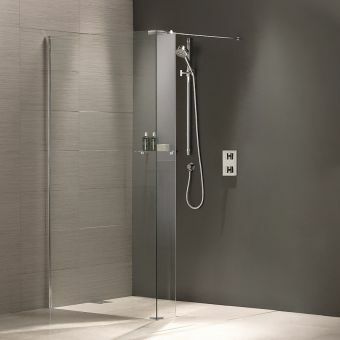 The ultimate shower room installation if you a bathroom large enough must be the Matki EauZone Plus Twin Entrance Wet Room Panel. 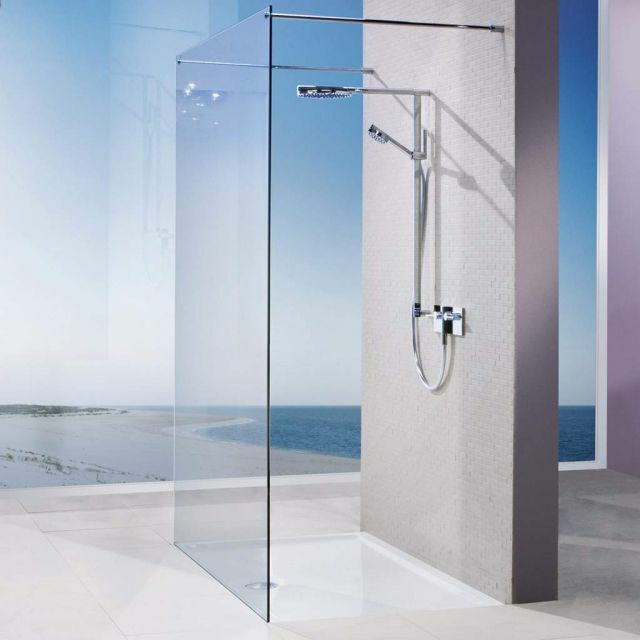 Standing a tall 2100mm from bottom to the top, it is made from heavyweight 10mm glass that is generous in both size and features. 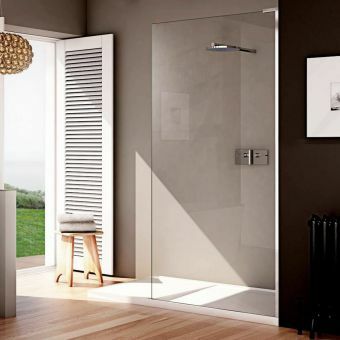 The unique ‘walk through’ design draws attention to itself by its utter simplicity and can provide a powerful and refreshing experience utilising three sizes from 950 to 1450mm. 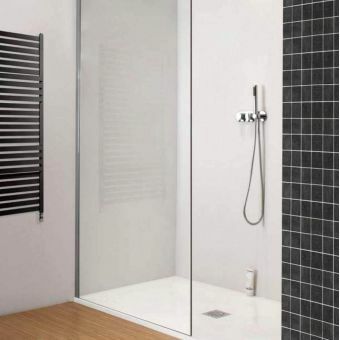 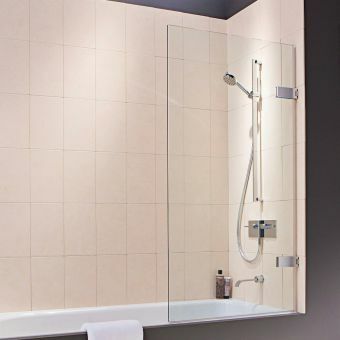 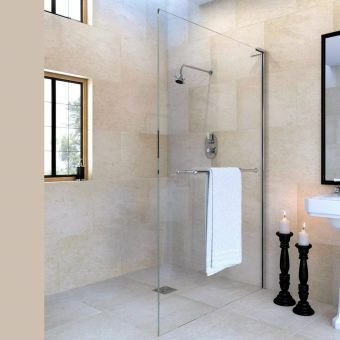 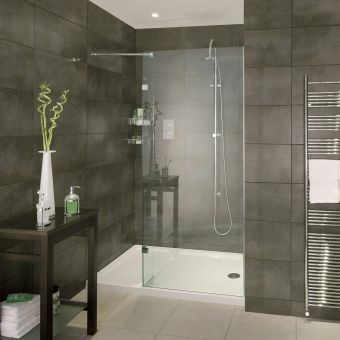 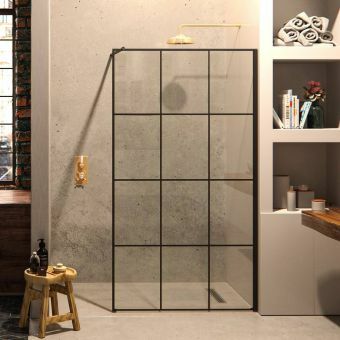 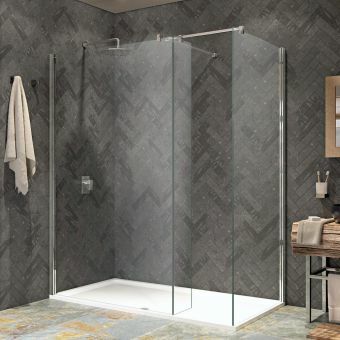 Two strong but discreet bracing bars span the top edges to the shower room wall anchoring the glass in place without movement, while allowing maximum safety. 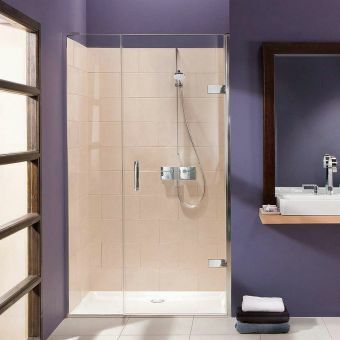 As well as the standard chrome package, alternatives include stainless steel, polished brushed nickel, brushed gold and standard gold. 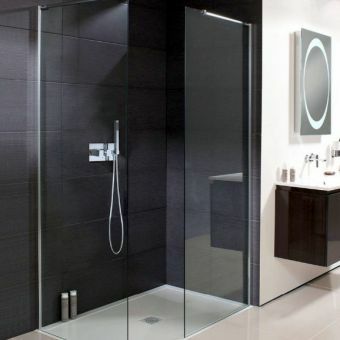 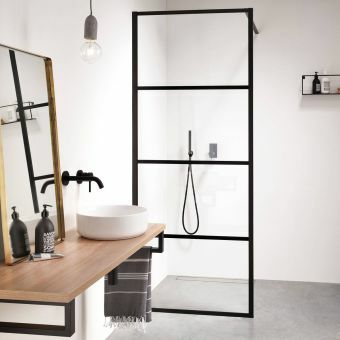 Installation is straightforward with tiled straight to floor being the norm with wet room panels but Matki’s 30mm low profile trays can also be specified to give a flat entrance level with the rest of the bathroom area.